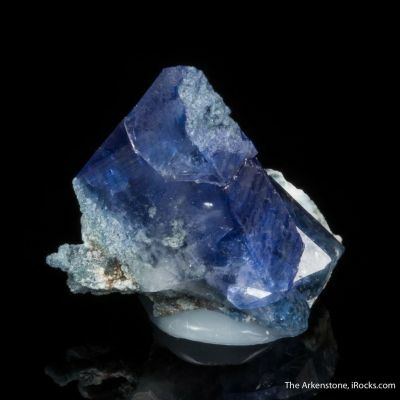 A fine specimen from the Dallas Gem Mine of California. 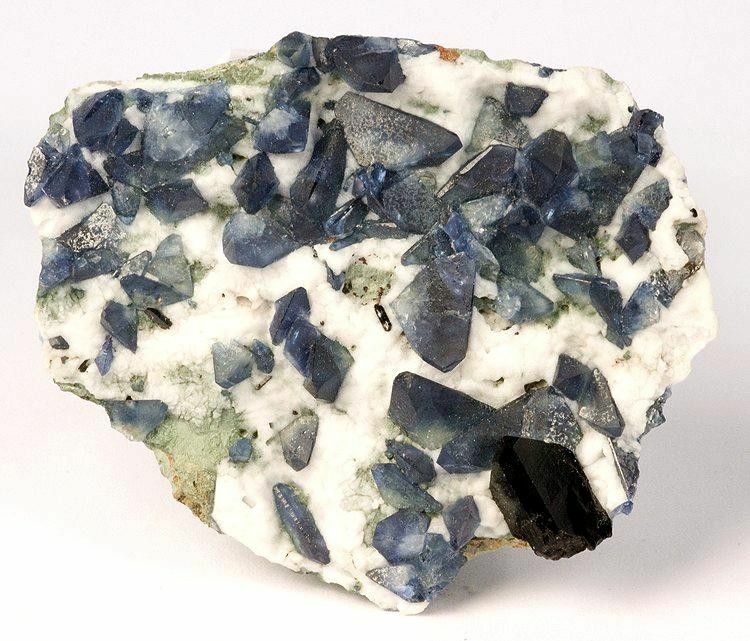 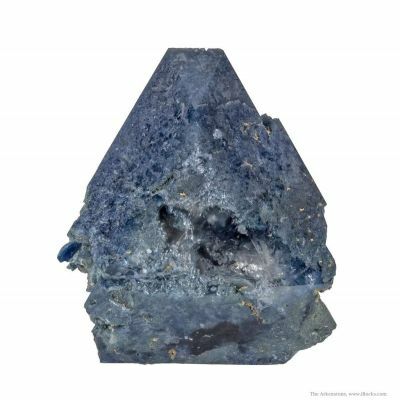 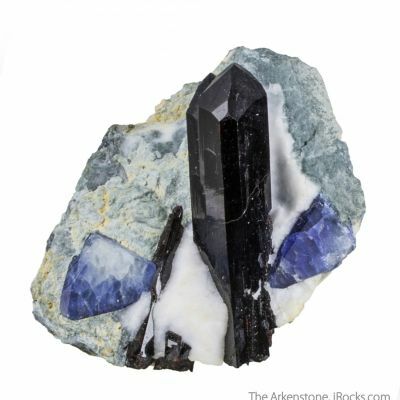 Lustrous, partially gemmy, indigo-blue benitoite crystals to 1.2 cm richly cover the snow-white natrolite covered matrix on this piece. 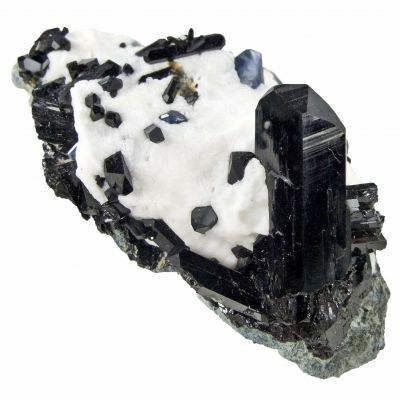 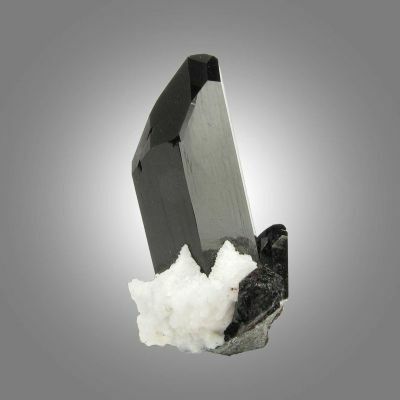 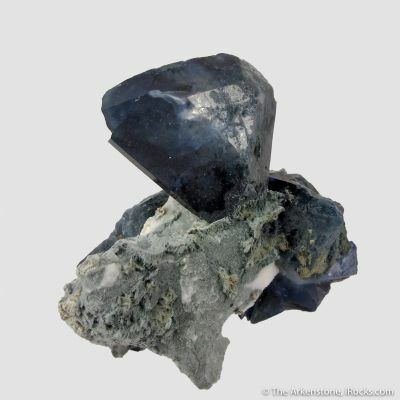 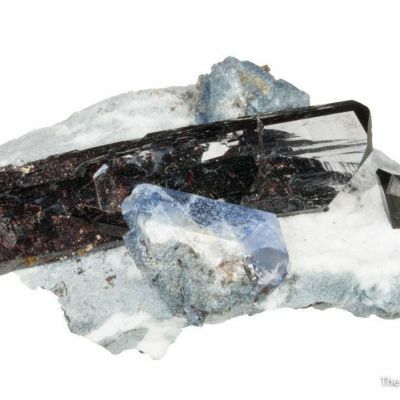 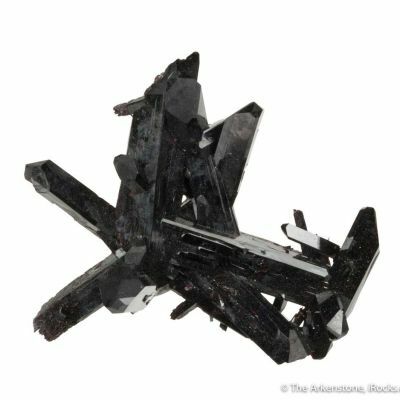 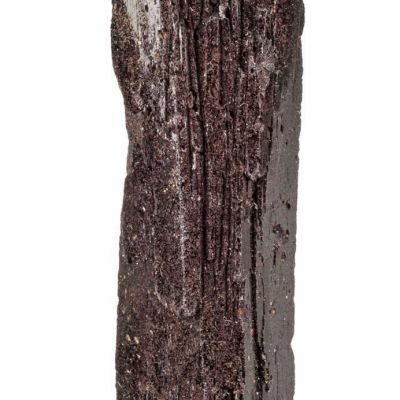 A sharp, highly lustrous, 1.3 cm neptunite crystal on the edge of the specimen is a very nice accent. 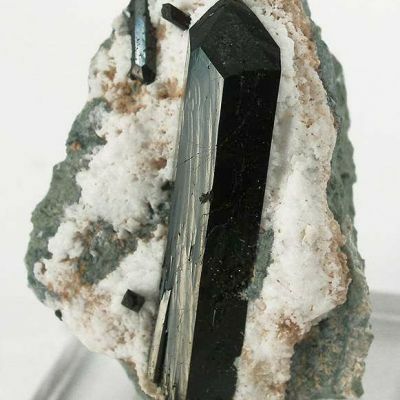 Very fine, older material.